Regular readers of Financial Regulation Matters (and, in truth, any financially-concerned writing) will be more than aware that President Trump has his sights set firmly on the Dodd-Frank Act’s destruction; in fact, he is unequivocal in his aims to remove regulations that ‘enshrine too big to fail and encourage risky behaviour’. Yet, his planned dismantling, like almost every other ‘huge’ plan that he declared on his way to the White House, has not come to fruition and the new strategy is, seemingly, based upon a piecemeal approach and taking victories whenever one presents itself; recently, with certain actions taken at a Government agency created by the Dodd-Frank Act, Trump sensed a victory and acted. Yet, things have not gone smoothly and in this post we will assess the development of this story and some of the implications. 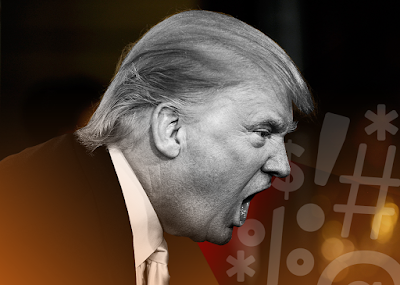 It has been suggested on numerous occasions that the roadblocks that have been erected in Trump’s remarkable path will force his Administration to think differently about how to achieve their goals whilst in office. Talking about how the Administration would navigate around hurdles in relation to banking rules, it was suggested earlier this year that the Administration would seek to do all it could without reverting to altering/enacted legislation i.e. it would act through the regulators and their specific regulations. Whilst not surprising given that the Administration has few options available to them in their conquest, that analysis was indeed prophetic, as recent events show. A few days ago, the Head of the Consumer Financial Protection Bureau (an agency formed in the wake of the Crisis), Richard Cordray, stepped down from his post and, as according to the rules in the Dodd-Frank Act, his Deputy, Leandra English, was promoted to interim Head of the Bureau. Yet, sensing a victory, Trump and his Administration announced that Mick Mulvaney, the White House’s Budget Director, would be stepping under the powers afforded to the President under the Federal Vacancies Act. The obvious result was one of confusion (which is normal since 2016), and the remarkable situation whereby a powerful Government agency has two people claiming to be its Head. Fast-forward a few hours, and English had filed a lawsuit against the decision; news breaking at the time of writing is that the Judge hearing the case has declined to ‘remove Trump pick Mulvaney’ from the CFPB, with Mulvaney sending emails to CFPB staff immediately advising staff to disregard English’s instructions as she is ‘purporting to be acting director’. Whilst the legal battle is not over – it is projected to go the Federal Appeals Court – the dismal reduction in standards is a remarkable (d)evolution in the esteem of the political process. Furthermore, and rather unsurprisingly, the move has caused even further rifts between the political ‘sides’ in the US, with Barney Frank (of Dodd-Frank) stating, quite rightly, that ‘we gave a lot of attention to how to structure the CFPB and how to protect its independence, because its job is to go after some very powerful forces in the economy’, which leads us smoothly into discussing the elephant in the room: why is Trump taking such an action? Donald Trump, during his campaign trail, said many things. Many claims were outlandish, and many, if not all, were ‘mistruths’ – a political word for a lie. Yet, one that seem to stick and gain him favour was the oft-repeated and catchy slogan ‘drain the swamp’. This mantra was repeated on stage after stage, and was applied to a number of different elements: politics and big business mostly, although in reality nobody was safe. Yet, even before he took Office after his inauguration, Trump has been systematically spending the U.S. taxpayer’s money, with the cost of his visits to Mar-a-Lago allegedly costing the taxpayers $20 million in the first 100 days. Yet, all the ludicrous figures on the usage of Air Force One, golfing breaks with Tiger Woods, and whatever else, should be no distraction to what Donald Trump is doing; he is not just advocating for big business, he is actively dismantling regulations designed to constrain the iniquities of big business. It is important that this is articulated and repeatedly so. In 2007/8, a decade ago, the American citizens, as just one example, were systematically abused by big business. They were actively fed into processes that people coherently understood would see them harmed. They were considered to be acceptable collateral in a game in which they can never win. These are not conspiracy theories, they are supported observations and need to be remembered every time the President decides to lower the standards of such a powerful and dominant Country. The effect of this period upon the progression of the United States will be, arguably, what defines the coming global dynamic for decades, and Trump’s continuous dedication to operating upon the lowest common denominator, to inciting confusion, fear and disrespect, must have a consequence – it will not just bounce back to normal when he leaves Office. This news may look like a battle for a regulator, but is much more than that. The second post today is a short follow up from a post earlier in the year that looked at the leniency of the deterrent selected for the accounting industry. In that post we looked at how the SEC and the Financial Reporting Council (FRC) were handing out ‘record fines’ of £5m here or $6 million there, something which onlookers noted was ‘less than half a day’s work’ for these top-four Auditors. Therefore, you can imagine this author’s delight when reading the headline in the Financial Times yesterday that a ‘review recommends larger fines for accountancy firms’; yet, regular readers of Financial Regulation Matters know that there was no such delight, because the rest of the article could have been written without one having read it. Obviously, the article goes on to confirm that, as suspected, the increase in fines was not really worthy of a headline, if the increase even goes ahead at all. In the report commissioned by the FRC and led by for Court of Appeal Judge Christopher Clarke, it was mentioned that as a starting point the firms should not be able to profit from wrongdoing (although they stated that identifying that profit may be difficult owing to the nature of the business of auditing) and that ultimately the ability to fine firms should be significantly increased. The article in the FT makes the obvious comparison between largest penalties attributed by the FRC and the FCA, with the FRC’s being £5.1 million and the FCA’s being £284 million – in reality, the FCA’s level of fines also needs to be addressed. The most startling sentence in the article – ‘the most controversial measure proposed by the review would enable the regulator to fine large accounting firms by more than £10m’ – is perhaps indicative of where the regulatory framework is up to. Whilst Clarke rightly notes that the smaller fines like we have now are probably just recognised as ‘the cost of doing business’, it is unlikely that fines of £10 million will fare much differently, something with Professor Ramanna calls the ‘800-pound gorilla’ in the room. Unfortunately, if we were to look at actions rather than words, then this report is particularly poor. Not to judge Clarke’s intent, but looking at the actions paints a picture whereby the capability of a regulator to control an industry which is inexplicably linked to corporate wrongdoing is called into question, and the result of extensive investigation is that they should raise their fines by a total of £5 million at a time, against companies that post revenues in the billions and profits in the hundreds of millions. Right now is the time for regulators to work via actions rather than statements, but unfortunately this report does exactly the opposite, and the auditing industry will have taken notice – what message would then have received? Business as usual…. One does not have to search for long in the archives of Financial Regulation Matters to find criticism of the Conservative Government. Whether the focus is on the increase in food banks, tax avoidance, elitism, siding with business over the public, or a level of privatisation that is forcing the U.K. into a corner it will struggle to get out from, there has been no shortage of criticism. However, the first thing to note is that today’s post is not, nor the blog moreover, pro-Labour (or, in fact, any political party); Labour are simply just as culpable as their Conservative brethren. To demonstrate this point, today’s post, the first of two, will look at the recent ‘landmark study’ that suggested the Conservative Party’s austerity measures have caused upwards of 120,000 deaths, unnecessarily, since embarking upon this attempt to recoup the losses caused by the financial sector; yet, the analysis will do so from within the parameters of the need to understand economic cycles. 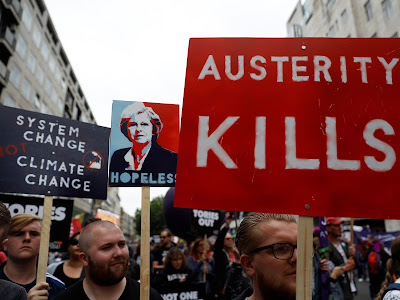 With the Conservative Party taking power in 2010 as part of a Coalition Government it effectively controlled, austerity measures have been ruthlessly implemented across a wide range of British society. Whilst it is expected that the Party would go after the poorest first, traditionally speaking, this era was, and still is, defined by the broadening of that net to the middle-classes. It is on that basis that Johnathan Watkins et al produced the research paper Effects of health and social care spending constraints on mortality in England: a time trend analysis, which was made publically available via the British Medical Journal. The paper is based upon statistical analyses regarding spending levels in two specific categories: public expenditure on health (PEH) and public expenditure on social care (PES), with PES suffering greatly in the hands of the Tories. Yet, whilst the paper ultimately calls for an increase in PES, which seems obvious but is supported by statistical evidence, the media have found delight in picking up on certain elements of the report. The Independent takes the lead with the extracted phrase of ‘economic murder’, whilst continuing by affirming that whilst mortality rates declined between 2001 and 2010, they rose sharply in the following years; the study suggests that, based on the trends identified, there would be 152,000 austerity-related deaths between 2015 and 2020 – 100 a day – mostly because the majority of these people will be reliant on social care rather than health care. Yet, the authors of the paper were keen to temper their findings, expectedly, and stated ultimately that the paper cannot prove ‘cause and effect’, only ‘association’, which was highlighted by critics of the paper like Local Councils who suggested the statistical background of the research could not be relied upon. This all makes sense, but in reality it should be no surprise that savage cuts, across the board, have led to an increase in the mortality rate. For the Tories, figures like these are par for the course. This is demonstrated in the callousness of some of their most senior figures, and in the recent ‘gaffe’ made by Chancellor of the Exchequer Philip Hammond with his ‘there are no unemployed people’ remark on a morning political TV show. Whilst the comment was, in reality, taken out of context – Hammond was discussing the effect of technological innovations on sectors in different eras, although the claims made by some that actually Britain does not have an unemployment problem can be easily dismissed – the comment was ‘bad for the optics’ in a world where, apparently, that is all that matters. Just two days out from today’s Budget, the timing could not have been worse for Hammond in theory, but in reality it matters very little. This is because the focusing upon who said what and when is nothing more than a distraction from the reality of the situation – the systemic reality. Let us take a step back from Tory-bashing for one moment, and let us look at the Labour Party’s role in this situation where disabled people are being forced to climb stairs to prove their disability, and young families with young children are being forced into food banks after having their benefits effectively suspended for six weeks. Since the 1980s up until the Financial Crisis, of which Labour Governments played an active part (from 1997 to 2010), financial entities within the City of London were actively deregulated, with the Labour Party overseeing the final ten years of the project to extract more wealth from society then has been witnessed before – the Crisis cost the U.S. more than $22 trillion, and the U.K. £7.4 trillion which, if it were not for the heart-breaking human cost would be almost laughable figures. Labour played its part in this system, and they are as much to blame as anybody else; this is not to put the blame on any one particular group, because the political elite is now paying for their subservience to the financial elite by way of record numbers of politically disengaged and disenfranchised citizens. Ultimately, it is important to have some perspectives when phrases like ‘economic murder’ are being put forward. Yes, the Conservative Party is at the forefront of the attack upon society, but we must focus on what they represent more than what they actually do. Doing this will allow people to predict the effects of economic cycles, rather than find themselves caught up in the crossfire. When the next boom comes around, and credit is flowing free again, society needs to reject the allure of an easy and commercialised life in the knowledge of the damage that is inevitably lurking around the corner; whether this happens is anybody’s guess, but history tells us that, at some point, we will see this all again. Today’s second post looks at the ever-developing story that the British-based multinational construction firm Carillion has today issued its third profit-warning since July, in addition to its suggestion that it is about to breach conditions attached to loans that it is accountable for. With the increasing utilisation of so-called ‘Public Private Partnerships’ and ‘Public Finance Initiatives’, as discussed in a recent post here in Financial Regulation Matters, it is worth discussing the potential effect that this financial bombshell will have; will it cause the socially-integrated company to begin to spiral and ultimately fail, or will it be the latest demonstration of a company that is ‘too big to fail’, as one onlooker has suggested today. Carillion is proving to be synonymous with this particular period of Britain’s economic history, with the firm winning a number of lucrative and highly-visible contracts, including skyscrapers in Manchester, and of course the infamous HS2 high speed rail project as part of an overall £6.6 billion contract (to all of those involved, not just Carillion); the company is also responsible for the Royal Opera House in Oman, the Yas Viceroy hotel in Abu Dhabi, the redevelopment of the Tate Modern building, GCHQ, Brampton Civic Hospital in Canada and the Library of Birmingham, amongst other projects. 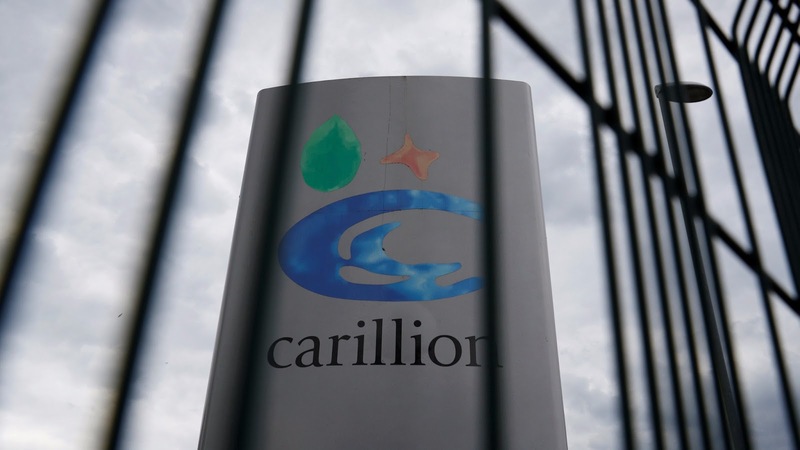 However, despite these contractual successes, all is not rosy at Carillion’s headquarters, with many stating that a number of high-risk projects have resulted in the recent malaise for the company. In the Summer, the time of its last profit warning, it was identified that four projects in particular, in conjunction with the need to divest from Canada and the Middle-East, were causing the company serious problems; the company is feeling the effects of loss-making contracts, late-paying contracts, and a building sector that is being squeezed by the economic environment. Three projects in the U.K. – The Royal Liverpool Hospital, the Midland Metropolitan Hospital, and a road project in Aberdeen – are understood to have heavily contributed to the recent £375 million write-down that is at the heart of the spiralling financial health of the company. For a company that survives upon large-scale grandiose plans, usually by states demonstrating their financial health, the inherent uncertainty that defines the post-2016 (and realistically the post-Crisis) world can be a deathblow if the company is not diversified enough to protect itself – it is for this reason that the company has been divesting from its Canadian and Middle-Eastern projects, whilst also moving the bulk of its business into the facilities management business which, according to the Financial Times now represents almost two-thirds of its entire revenue stream. Yet, the drop in share price, particularly when viewed in relation to its share price when it buoyantly attempted to takeover one of its main rivals Belfour Beatty, means that the company has witnessed its share price fall from 340p in 2014 to 117p today. Ironically, the predicament the company finds itself in has led to speculation, which is being fuelled by a merciless short-selling campaign, that the company itself is now particularly vulnerable to a takeover. However, whilst these facts, figures, and opinions all point to a company in freefall, the reality may be much different. 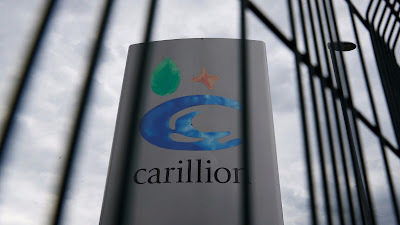 A piece in today’s Independent discusses how, four year ago, the National Audit Office declared Carillion ‘too big to fail’ because, in effect, it had been allowed to attach itself to the very infrastructure that underpins British society – hospitals, transport, schools, and the military were all reliant upon Carillion to offer their services, for a price. Furthermore, the company is being woven into society even further despite its poor performance, with the contract for its involvement in the HS2 project being awarded just days after one of its most troublesome profit warnings earlier this year. The article in question asks whether knowledge of this arrangement affects the decision making in the firm, and in reality that is a question that need not be answered – knowledge that you are too big to fail has to have an impact upon decision making, whether knowingly or otherwise. Yet, the problem is representative of a much larger social issue, and that is political short-termism. HS2 was George Osborne’s signature contribution to society, but he left shortly after championing it. Theresa May, now at the helm, is being bombarded with a number of crucial problems like the ever-stuttering Brexit negotiations; has she the capacity to tackle this growing systemic problem of PPP-providers being on the brink of failure? Quite frankly, the obvious answer is ‘no’, with the consequence of that being that to kick this problem further up the road when she will have left Office quickly becomes the best possible option. Companies like Carillion, that are interwoven within society, rely upon this political short-termism to survive and prosper, because for Carillion to fail now would be a problem the country simply cannot afford. So, yes, knowing that one is ‘too big to fail’ has an effect, and it has an effect of everyone. 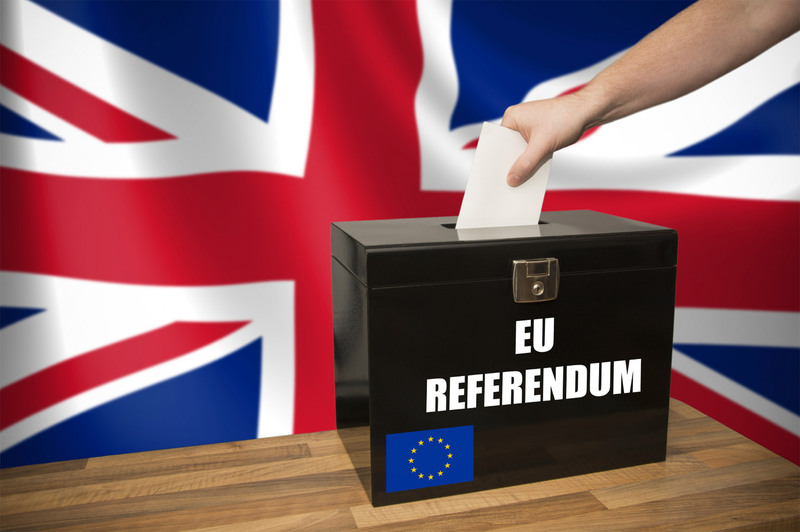 Keywords – Construction, Carillion, Brexit, Business, Politics, Finance, @finregmatters. 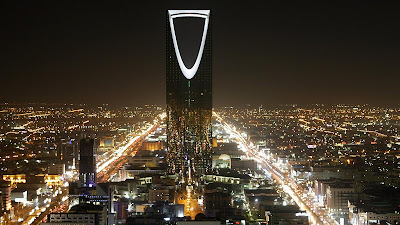 This very short commentary, the first of two posts today, reacts to the news that Standard & Poor’s (S&P), the world’s leading credit rating agency, is to open a branch in Riyadh, the capital of Saudi Arabia. Only very recently did we discuss the recent developments within Saudi Arabia here in Financial Regulation Matters and, as part of that push to reorganise under the ‘Vision 2030’ banner which is being developed by the Crown Prince, the oil-rich state is attempting to move into the financialised marketplace more; the effect of this will be remarkable for the growth of the country, but will also open it up to the iniquities of the marketplace that plague their Western colleagues; the parasitic emergence of S&P just before Saudi Aramco is floated and the country begins its move away from petro-dollars is no coincidence. The question, then, is what exactly is the country letting itself in for? S&P received approval to locate to Riyadh this time last year, and plans are underway to bring the rating giant to the epicentre of Middle-Eastern prosperity. S&P Global Ratings President John Berisford was clear in his understanding of this when he stated that the Saudi regulator’s (the Capital Markets Authority - CMA) ‘ambitious enabling program presents significant opportunities for the country and investors alike’. The managing director also confirmed that as Saudi Arabia’s capital markets evolve with the changing strategy, there is ‘prime potential for greater debt issuance’ which creates a ‘significant opportunity for S&P’. However, the IMF’s suggestion that there is ‘hardly any liquidity [in Saudi Arabia] as most investors are of the buy and hold nature’ confirms that this move is not for the benefit of Saudi investors, but for international investors to flood the Saudi marketplace with investment. The obvious response to all of this is ‘so what?’ – it is to be expected that the private company seeks to take as much advantage of a new opportunity as possible; this is absolutely true. The real issue lays with the approach of the Saudi leadership. Saudi Arabia’s push to move away from oil-dependency makes complete sense in light of the fact that the resource is a finite resource. Yet, what they are exposing themselves to in doing so is something which they have likely not encountered before. The mercenary nature of the large rating agencies means that the Saudis are introducing the perfect cocktail for financial ruin to their border, and further, by way of a clear thirst to encourage investment, and a regulatory framework that has no experience of dealing with these venal companies. The pressure the CMA will be under to allow the rating agency as much flexibility as it can with its methodologies, it approach and its compliance, will be considerable owing to the need for the turnaround to work. Then, further, as this author discusses in a forthcoming article and monograph, the country will be catapulted into a vicious cycle of what is known as ‘rating addiction’ whereby the agencies become systemically intertwined and, effectively, remove themselves from deterrent and punishment. So, what may be the answer for the Saudis? The push to change direction is valid, but it must be done with great care, and in this particular field that does not appear to be the reality of the situation. The regulators are beckoning, even seducing these companies into the country whilst what they should be doing is developing the strongest framework possible, based upon foreign experience and assistance, so that their fragile social revolution is protected from the iniquities of the marketplace. There is a great risk for the Saudi leadership in constructing and executing this social revolution, and they would be minded to take great care when inviting the fox to the hen house. It has been nearly two weeks since the news broke that yet another offshore law firm’s accounts had been hacked and subsequently leaked. 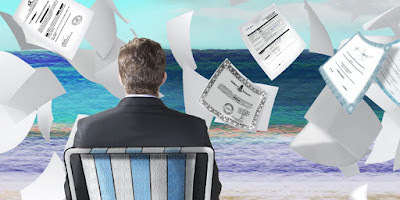 After the ‘Panama Papers’ scandal that broke in 2016, this latest leak – the so-called ‘Paradise Papers’ – has the capacity to engulf a large number of particularly influential and recognisable people. Yet, it is worth questioning a. what this leak actually portrays, b. what the effect of the leak may be, and c. what the leak tells us about the larger picture? To answer those questions, the following seeks to introduce the leak, and provide some context for the claims that are consistently emanating from it. The so-called ‘Paradise Papers’ leak, which is the catchy title being given to the leak of documents from a Caribbean-based Law firm called Appleby (its ‘fiduciary’ arm is called ‘Estera’ after a recent management buyout), is the second-largest document data leak, with the so-called ‘Panama Papers’, derived from the Law firm Mossack Fonseca, holding that unfortunate honour of being the largest data leak on record (2.6 TB of files were released then, as opposed to 1.4TB from Appleby). However, some perspective is required within a world were sensationalism is currently the order of the day. So, firstly, what is the reality of offshore investing, and does that relate to these stories of, seemingly, widespread tax avoidance? Secondly, what can we take from these leaks with regards to the ‘bigger picture’? Offshore investing, in very general terms and in order to provide a realism check, is legal. The ability to invest one’s funds offshore, traditionally in a small jurisdiction that does not have the most sophisticated regulatory structure, is noted as being a viable and useful investment strategy for a number of reasons. Whether it is to diversify one’s exposure to risk, to protect one’s assets from political variabilities (like war or political instability, for example), or to protect against market volatility, there are a number of benefits to investing offshore. However, ‘investing offshore’ masks a number of variances which really should be revealed: offshore investing may relate to an investment fund being ‘domiciled’ abroad, which is legal, but offshore investing is sometimes cited when people attempt to remove their income from tax authorities, which is not legal. 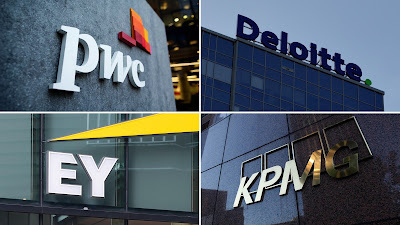 Whilst some who are caught in the crosshairs of this latest scandals have not, necessarily, been accused of operating illegally, it is really the close connection between the business and political elite and these tax-avoiding schemes which is causing the scandal to have such an impact. Whilst allegations of illegality will likely be forthcoming, at the moment the focus is on both a. proximity between the scheme and the elite, and also b. the issue of declaration, as witnessed by the story enveloping Lord Ashcroft at the moment. Yet, the proximity-issue points to a much larger issue, and one which, rather regrettably, is difficult to paint in a positive manner. The former British Prime Minister, David Cameron, once opined that tax avoidance – in relation to the comedian Jimmy Carr being outed as using an aggressive tax-avoidance scheme – is ‘morally wrong’, with his successor, Theresa May, vowing to combat tax-avoidance almost immediately after taking office. However, the first point to note is that it will be incredibly interesting to hear Theresa May’s responses to this latest leak, one which puts some of her Party’s most revered figures in the centre of the scandal (one doubts she will be as forthcoming this time – more on this below). The second point is more abstract; the absolutely incredible amount of people and corporations caught up in this scandal can only tell us one thing: tax avoidance, or at least doing everything possible to reduce one’s tax burden, is inherent within society (particularly, rather obviously, for those with large reserves of funds). This should not really be revelatory, but the response to the Paradise Papers suggests that maybe it is. This latest instance of proof that influential people systematically ‘game the system’ should be the spark that initiates deep-rooted reform of the market-centred society we live in, but one should be able to realise how fanciful that thought is when looking at the impact of the Panama Papers. Yet, the development of a story that is just over 10 days old continues unabated, with more and more of the elite being linked to the scandal. Billionaires like Robert Kraft, sports stars turned celebrities like Gary Lineker, Lewis Hamilton, and performers like Shakira, Nicole Kidman and Madonna have all been caught up in the scandal to varying degrees. Furthermore, it was stated above that it would be interesting to hear of Theresa May’s views on the scandal, speaking from a British perspective, and that interest was only heightened today by the news that ‘Theresa May’s Husband has “serious questions to answer” on tax avoidance’; Business Insider leads with a story this evening that ‘investment advisors Capital Group, where Mr May is a relationship manager, used offshore law firm Appleby to arrange investments in tax havens’. Quite what Mr May does in his role as ‘relationship manager’ of a private equity firm, at the same time as being the Husband of the Prime Minister of the United Kingdom, is not quite revealed by the publication, but certainly adds another dimension to the unfolding scandal. Furthermore, it is probably more proof, if proof were needed, that tax evasion, tax avoidance, high finance and high politics are essentially all one and the same. Yet, a massive story published today regarding a ‘landmark study’ that links Conservative-driven austerity to over 120,000 deaths since 2010 that could have been avoided if wealth was not being systemically extracted from society – quite a time to break a story after the scandal that confirmed the widespread removal of private funds from national tax authorities. The report regarding the links between austerity and increased mortality rates will be covered in a future post, but for now it is enough to say that this Paradise Papers scandal should be garnering far more action, far more anger, and ultimately far more effectual change than it is doing; as to why that is, one must look to the system for answers. Today’s post is a short commentary on the latest development in a story which we have already covered here in Financial Regulation Matters. In early October we looked at the Financial Stability Oversight Council (FSOC) and their decision to remove AIG, the insurance Giant that played a central role in the Financial Crisis, from its designation as a ‘Systemically Important Financial Institution’ (SIFI). In the post we discussed how some of the world’s most influential financial figures, like Carl Icahn, had been devoting considerable time and effort to seeing this designation removed and how, ultimately, the decision could be seen as Donald Trump and his Administration making good on a number of promises to scale regulation back in the coming years. On Friday this deregulation picked up pace, but this time on a global level, and for this post these developments signal a clear marking of a systemic shifting through the economic cycles – however, this has connotations. The details of the deregulatory push will not be examined in any great detail here, because that was done in the previous post. 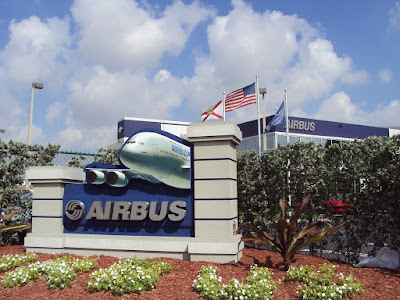 Yet, there were questions raised as soon as the US chose to remove the SIFI designation regarding how global regulators would react, with onlookers suggesting that looking at the size of a firm is not as accurate nor fair as looking at the particular operations of the said firm. To this end, the Financial Stability Board (FSB), which serves to coordinate financial regulation across the G20, has now (supposedly) declared that they will shift their regulatory focus to activities, rather than size – with the expected result being that firms like AIG will have their Too-Big-To-Fail (TBTF) status removed in line with the US’s designations. However, to read the headlines would have you believe that the FSB has simply chosen the same path as the US because it makes sense, but a closer inspection reveals that the US Treasury has been actively lobbying the FSB to reduce its designation, which seems to add further fuel to the assertion declared in recent posts (here and here) concerning the independence of regulators – should regulators really be lobbying other regulators for private companies to benefit? There have been many analyses into the validity of the TBTF label, and the validity of applying it to companies which have proven themselves, beyond question, to having been complicit in one of the largest and most systemic financial failures on record. There have also been questions raised by concerned politicians like Senator Elizabeth Warren regarding the decision in the US to remove AIG’s SIFI designation. Yet, whilst all of these analyses and concerns are more than valid, there is a much larger, more systemic, more social issue that needs to be acknowledged: Cyclicity. Whilst political cycles of liberals or conservatives make the headlines and are portrayed as being true indicators of social development, it is actually economic cycles which determine progression; it is widely acknowledged in the literature that these cycles of growth > bubble > collapse > regulation > populism > deregulation > growth are what defines society, with it being suggested that this model is inherent to what we consider a Government-led society to be. Also, the obvious comparisons made between the Great Depression and the Great Recession, and between the political developments of the 1930s and 2008 onwards, suggest that comparison can be made because the problem is systemic, not just confined to the machinations of a given era. Whilst the comparisons may not be directly transferrable between eras, the sentiment is exactly the same – business exploits the system, then the system works to develop the same environment again for business to exploit. This is hard to disagree with, and forms part of the reason why regulation can never truly be ‘successful’ in preventing financial-based scandals, because they system is designed to operate in that way; really, all that one can hope for, is that the public is protected as much as possible. Yet, whilst having hope is necessary, the reality tells us that the money siphoned off by business has to be created somewhere, and that is the public’s role. Then, in order to repair the damage and create a facilitative environment for the next wave, the resources have to come from somewhere, and that is the public’s role. So, in reality, regulators would have a hard time explaining what it is they are meant to do within the public-safety parameter, but arguably they would have no such problem if asked the same question from within the pro-business realm – the recent posts on regulator independence provide more than enough evidence for this. Ultimately, recent events like the elections of the unashamedly pro-business and anti-public Donald Trump and Theresa May, combined with the concerted and sustained deregulatory campaigns to reduce the oversight of exactly the same entities that brought the system to its knees only less than a decade ago should be confirmation, if confirmation is needed, that we are passing through the phases whereby society has been extorted enough so that preparations can be developed to allow for the next phase, which is business taking advantage of systemically-created opportunities. Some may be of the opinion that this is how it should be, and admittedly there is no alternative proposed here other than greater protection of the vulnerable in society (which is achievable), but the overriding concern is that, last time, there was a buffer of 60+ years for society to prepare itself, this time there is only 10+; it is contested here that this is simply not enough – we need our own “Quiet Period”, and we need it much more than the ‘growth’ that is consistently regurgitated out of the mouths of those associated with the political apparatus’ of Washington, D.C., and London. Keywords – AIG, Insurance, Politics, Regulation, Financial Stability Board, G20, Trump, Theresa May, Economics, Cycles, Society, @finregmatters. In yesterday’s post we looked at the issue of regulatory independence, and how the mandate of regulators can be manipulated and warped to serve the so-called ‘greater good’. In that post we focused on the FCA with regards to its bending for Saudi Aramco and the impending record-breaking IPO, but today we shall look at something far more political. This is not to say that the FCA bending for Saudi Aramco, in light of the impending uncertainty that is Brexit, is not a political issue, which of course it is, but the case we are focusing on today is particularly political and, potentially, has incredibly wide-reaching consequences. The case in point for this post is the news that the potential merger between AT&T and Time Warner is being held up by the Justice Department, with the alleged sticking point being that Time Warner (and AT&T once they merge) must sell the company that owns CNN. Whilst this may seem inconsequential, the connection between CNN and US President Donald Trump suggests otherwise. The merger between the two giant companies has been ongoing since last year, with the merger itself being valued at $85 billion. Initially, the Boards of both companies were particularly bullish about the potential benefits of the merger, with AT&T CFO John Stephens stating that ‘there are all kinds of benefits’ and that this type of merger has not been blocked for over 40 years. Time Warner Chief Jeff Bewkes agreed, stating that the merger ‘accelerates our ability to deliver great brands and premium content’ and that value for consumers will be significantly increased on the back of the merger. However, not all are convinced. Some of the initial concerns that were raised are common concerns with a merger between two competitors of this size: risk of self-dealing; the reduction in choice for consumers; and the risk of higher prices. Additionally, there were also concerns raised regarding the concentration of power across different sectors, like the power imbalances that may occur within the TV, Mobile Phone, and Internet sectors; another related issue is the increased likelihood of data breaches with the merged entity holding a vast amount of consumer details on their databases. These concerns are both common for ‘mega-mergers’ and are entirely valid. Yet, like the proposed merger between Sky and 21st Century Fox in the UK, concerns have been raised over the concentration of journalistic power, which is where the story turns to CNN. The widespread reports in the media over the past few days has focused on the claim that the US Department of Justice (DoJ) is mandating that, for the merger to go ahead, the merged company must agree to the sale of Turner Broadcasting, the company that controls CNN and a number of other cable channels. Another stated instruction/option would be, apparently, to agree to the sale of DirecTV, with concentration of power being the identified reason for these orders. However, whilst onlookers have noted that there are very few legal reasons why this merger cannot proceed, and the DoJ themselves are adamant that these reported orders are not representative of negotiations, the whole affair is quickly developing into something that looks like a farce but which may be much more sinister. The DoJ are suggesting that rather than mandating the sale of CNN, Stephens actually offered up CNN for sale, which is something he is strenuously denying. On the back of anti-trust lawyers being forthright in their confusion as to why there would be these types of hurdles in the first place, with some suggesting that it would ‘at least [be] a break in recent precedent’, the unfolding story has only been enhanced with the introduction of the twitter account which has a permanent place in the pages of newspapers everywhere – Donald Trump. Since Donald Trump’s unexpected and era-defining climb to power, he has been a constant battle with the media (or most of it, anyway). Yet, the one he singles out most commonly is CNN, with the two entities locked in an almost constant battle that, in reality, has very few winners. CNN’s coverage focuses on Trump a lot, which is understandable given a. his record in office, and b. the fact he is the President of the US, and this has caused Trump to zero in on what he believes to be the central component of ‘fake news’ and the ‘dishonest media’. In his battle with CNN, he has supported videos of himself ‘wrestling’ with CNN, sharing cartoons of himself as a train running over CNN, and essentially taking every opportunity to ‘troll’ CNN in a concerted campaign. CNN, for their part, have been heavily criticised for their response, which included, allegedly, attempting to silence the creator of the wrestling meme; once again, nobody comes out of this with any dignity at all. Yet, this latest turn of events in the connection between Trump and CNN suggests that the laughing matter of memes and cartoons has now been escalated, and in that escalation stands one of the bastions of US Justice – these are developments which should cause great concern. It is almost useless trying to provide sources for criticism of Donald Trump, because it is so widespread. Yet, the lowering of standards to the lowest common denominator is facilitating the potential for potentially irreversible actions being taken. On the same day that Trump decried globalisation whilst Xi Jinping, fresh from consolidating his grip on China, followed Trump’s speech directly with his unwavering support and commitment to globalisation, the potential complicity of the DoJ in Trump’s business has the potential to be just one of many sparks which may initiate a lasting global power shift; it may sound exaggerated, but the question the DoJ will have to answer, if it continues down this path, is how can it be trusted to be fighting for justice if it does the personal bidding of the President? Some may say that these discussions of justice and representativeness are nothing more than ideological and fanciful endeavours, and they may be right, but Trump has unerring capability of making things unavoidably obvious – and the DoJ is embroiled in something that it really should not be; to be seen as the shill for a President with incredibly low approval ratings, and who has systematically lowered the standards in the Superpower, is incredibly short-sighted and there must be a consequence for that… that consequence will likely be felt in years to come when the Country tries to repair itself from this current era, only to find that its authority was lost. Monitoring the actions of the DoJ will be important in the continuous examination of the potential trajectory of world power in the coming decades. Earlier in the year we looked at the British Government’s attempts to attract the Saudi Energy Giant Saudi Aramco to the U.K., for the purposes of using the London Stock Exchange (LSE) as the foreign listing organisation for what will be the largest Initial Public Offering (IPO) in history. In the post we discussed how the Financial Conduct Authority, the regulator tasked with regulating the listing mechanisms within the jurisdiction, was actively attempting to reduce the stringent rules surrounding who can use the LSE to enable Saudi Aramco to bring its record-shattering IPO to London. The obvious issue was that the reduction of standards related directly to concerns that have been mentioned almost consistently here in Financial Regulation Matters and across the majority of the literature/commentary, in that the uncertainties that are fundamentally intertwined with Brexit will cause a ‘race to the bottom’, in a number of sectors including the regulatory sector. There have been a number of occasions whereby the U.K. has flirted with this reality, but has only ever suggested a devotion to that approach; today this approach was arguably confirmed with the clearest signal of all that the British Government is about to engage in a level of ‘mercantilism’ that has to have a demonstrable, and likely negative effect upon the potential levels of prosperity that the majority of British citizens will experience over the coming decades. The details of the proposed IPO need not be repeated here, as the previous post covered it in enough detail. Essentially, for our purposes here, it is enough to know that Saudi Arabia, a country renowned for its extraordinarily conservative approach and, amongst a list of proposed issues, a number of human rights violations, is attempting to modernise its oil-based society by way of what is being promoted as ‘Vision 2030’ – a wide-ranging suite of reforms that has a reduction in oil-dependency, an increase in infrastructure-related investment, and increasing social rights at its heart. Whilst the extremely important issues of Human Rights, Social Rights, and domestic investment are the target for Vision 2030, with development being reported in these areas (although questions are being raised to whether lasting development can be achieved), the focus for us is the attempt to liquidate just 5% of the holding in Saudi Aramco, which could see the company valued at over $2 trillion, although these estimations are continuously reducing. 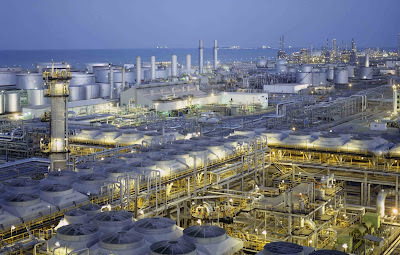 With the IPO being performed through the Country’s own listing mechanisms and one other, there has been an ever-increasing battle to seduce Saudi Aramco to the major financial centres of the world, with New York, London, Tokyo, and Hong Kong vying for their favour. 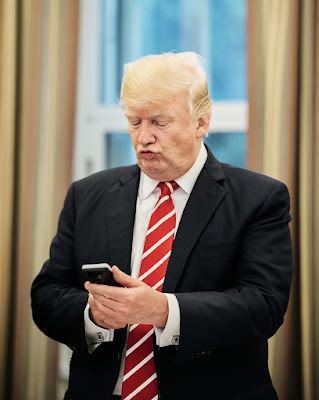 Earlier this week U.S. President Donald Trump sent yet another in a never-ending barrage of tweets in which he encouraged Saudi Aramco to choose New York, confirming the obvious by saying that it would be ‘important to the United States!’. Then, today, we received the British Government’s response. With the unapologetic back-bending approach taken by the FCA initiating an avalanche of criticism, the Government has now decided that it needs to be much more direct. It was announced today that the UK Export Finance department is preparing for a $2 billion (£1.52bn) loan guarantee for the Saudi company, which comes on top of a credit support arrangement totalling of £500 million that has been developed over the past 5 years. Whilst the British companies who may benefit from this arrangement have yet to be named, a number of events are lined up to allow British suppliers to win contracts with the Saudi company. The deal, which would be the second-largest on record after last year’s $2.1 billion credit arrangement for Oman to purchase military hardware from BAE Systems, has predictably drew heavy criticism, with the former secretary to the Treasury – Nick MacPherson – absolutely clear that the Government’s arrangement ‘would be a further lurch in descent to mercantilism. Mr Gladstone will be turning in his grave’. With criticism coming from Treasury Select Committee Chair Nicky Morgan and the Institute of Directors, who both urge caution against mercantilism, it is extremely difficult not to conclude that this deal is anything more than a bribe to entice Saudi Aramco to London. Yet, this should not even be a controversial statement, because the British Government has appointed a ‘special representative’ to Saudi Arabia to help assist (and position the U.K. with regards to) the Vision 2030 strategy. Also, in the current climate, why wouldn’t the Government take this approach at the same time that Brexit negotiations are developing at a snail’s pace and leading global political figures like Wilbur Ross, recently caught up in the ‘Paradise Papers’ scandal, suggesting that Britain will only find favour with the U.S. if they scrap rules put in place by the E.U. and accept American regulations like those that allow for the chlorine-washing of chickens. The Anglo-American headlong rush to divisive and nationalistic political systems in 2016, which many did not follow, is continuing to bleed into society and effect the futures of large sections of the global populace, but for us here it is worth asking what this means for the regulator? Keywords – Saudi Aramco, Financial regulators, Financial Conduct Authority, London Stock Exchange, Initial Public Offering, Brexit, Politics, Business, @finregmatters.